Order 3+ bags for free shipping (United States only). Blue Tribe Coffee comes to you all the way from the beautiful highlands of Chiapas in Southern Mexico, which produces some of the finest mountain-grown coffee in the world. For generations the farmers in Chiapas have been growing their coffee organically, shunning the use of chemicals. The result? 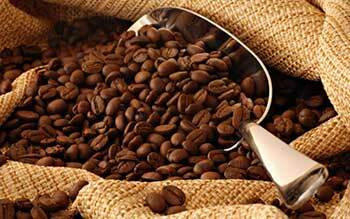 Because of Chiapas coffee, Mexico is now the #1 supplier of organic coffee to the global market. Chiapas is also home to a variety of the highly sought-after Elephant Maragogype coffee bean. This huge bean adds great taste and body to all our delicious blends! All of our coffee is natural shade grown at a high altitude above 1100m. Most of our coffee comes from Strict High Grown (SHG) areas exceeding 1400m altitude. We only work with Arabica beans of specialty quality with an SCAA rating above 84, 90% of these beans are Arabica Tipica and the rest are Arabica Bourbon, Arabica Caturra and Arabica Catuai. Blue Tribe Coffee handles all processing after purchasing the raw (green) coffee from local sources. The hulling of the parchment, removing defects, and the hand-roasting of our shade-grown coffee is all done in-house. Because our processing operations are located in the mountain town of San Cristóbal de las Casas, Chiapas, we have lower overhead than many of our competitors. Thus you can be assured that when you buy Blue Tribe Coffee a larger percentage of your money is reaching the workers and farmers in Mexico who help bring you our coffee. These hard workers have historically been the most unfairly paid in the coffee supply chain. Blue Tribe Coffee is dedicated to developing positive opportunities for local coffee farmers and workers. Blue Tribe Sampler Packs make a great gift for any coffee lover. These smaller bags of our four most popular selections are also ideal for finding out which Blue Tribe blend you like best. Some even like to come up with their own blends! Pick up a Sampler Pack or two today!